Make your wine glass as unique as this platypus is to Australia. This lovable little Aussie icon will make your wine glass the talking point at your next party or bbq, making sure you won't lose your wine glass. 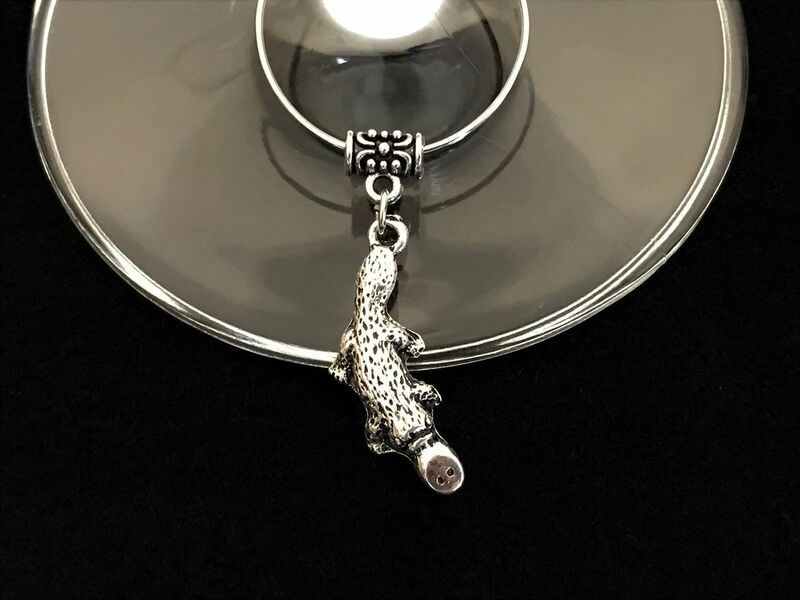 The charm is 5mm L x 3mm W x 21mm H. The platypus is silver and made into this beautiful wine glass charm here in Australia. The platypus is an iconic and unique Australian species that is only found in Australias eastern states. They live in freshwater rivers and lakes and are active mainly at dusk and dawn. They are very shy animals and will hide if they hear you. When the platypus was first discovered it was thought to be a fake, an animal put together from several different species. It has webbed feet, a duck like bill, a tail like a beaver, lays eggs like a bird and produces milk, breathes air but spends a large amount of time under water. The platypus truly is one of natures most remarkable creatures.